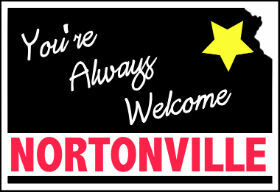 The City of Nortonville is committed to the mission of providing and maintaining essential services that meet the collective basic needs of the citizens of Nortonville. In order to fulfill our mission, we have established guidelines and are committed to the basic principles of integrity, courtesy, fairness, and honesty. How we get the job done is as important as getting the job done. We promote teamwork, satisfaction and professional development in order to provide innovative, cost effective efficient service. council meeting day and time has changed. All regular monthly meetings are open to the public. All other trash pickup will be on Monday as scheduled.